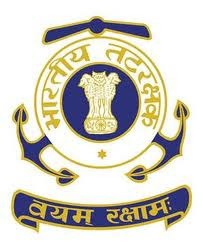 Indian Coast Guard (ICG) is a naval coastal defence force which has the responsibility for search and rescue, enforcement of maritime law and protecting the country's maritime and offshore resources. ICG provides excellent opportunity for diploma holders in Aeronautical,Electrical, Electronic and Mechanical trades of engineering to enroll as Yantriks . 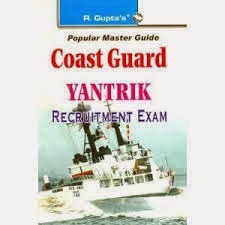 Role decription: Yantriks are responsible for operating and maintaining the machinery and equipment fitted on Indian Coast Guard ships and aircrafts. instructions carefully. Select the advertisement for Yantrik (3 Electrical/Electronic Diploma holders – 01/2015 batch). Selection Procedure: Selection of candidates is based on the on their performance in Written Test, interview, Physical Fitness Test (PFT) and fitness in the Medical Examination. Shortlisted candidates through 'Online' application will be called for test at given date and time. Candidates are required to appear at the Venue with the following documents. Original educational certificates will be returned after verification. Two copies of printed online application. Ten recent colour passport size photographs. Original certificate of tenth class for date of birth verification. Original mark sheet and certificates of three year diploma. Character certificate (issued six months prior to exam/interview).